These photographs were a gift from Joe Collias to Rich Lawler in the late 1990s. He considered these “rejects” from his collection. 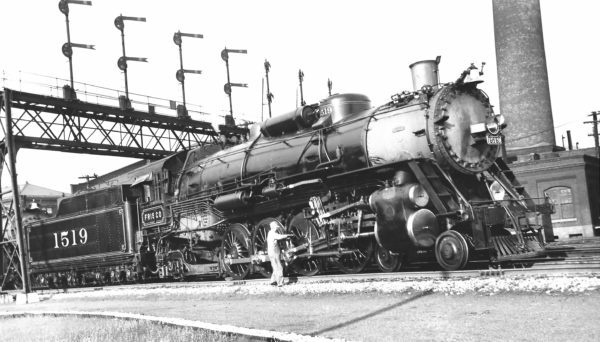 Mr. Collias chronicled the late steam era through his photographs, and authored many books featuring railroads of the Midwest. 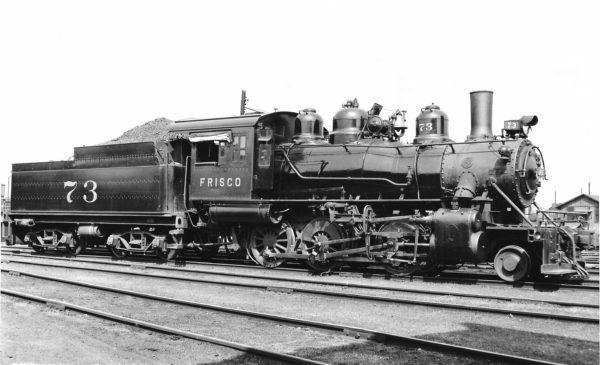 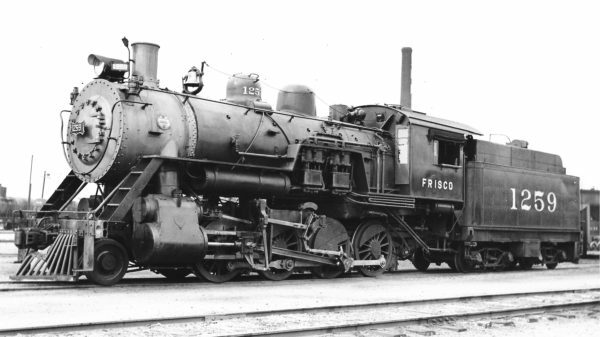 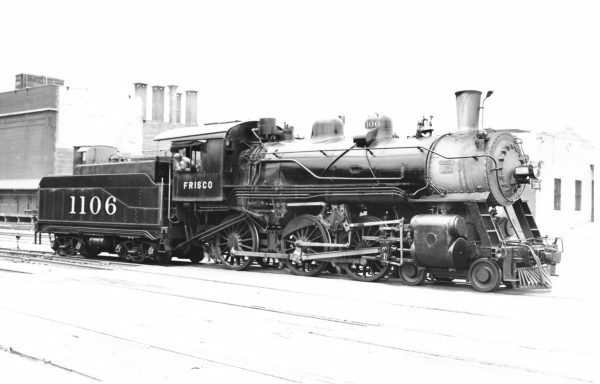 His book Frisco Power, Locomotives and Trains of the St. Louis-San Francisco Railway, 1903-1953 is the definitive work about Frisco steam engines. E7A 2005 (Winchester) at Springfield, Missouri on May 18, 1950 (Frisco Photo). 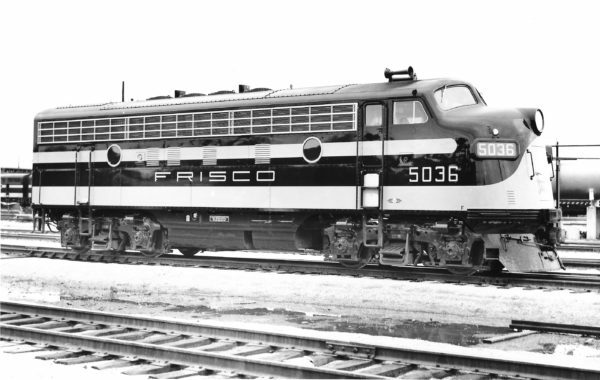 F7A 5036 at Springfield, Missouri in May 1950 (Joe Collias). 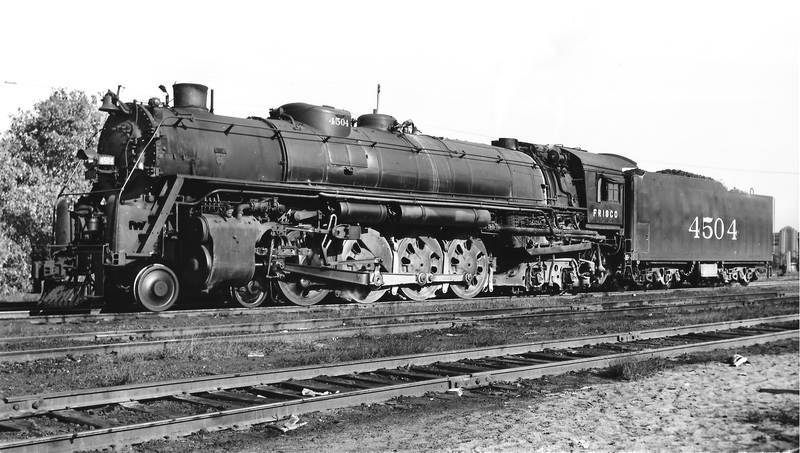 4-8-4 4502 at St. Louis, Missouri on March 11, 1946 (Joe Collias). 2-6-0 73 at Memphis, Tn on June 8, 1940 (Robert J. Foster-Charles Felstead). Special thanks to Don Wirth. 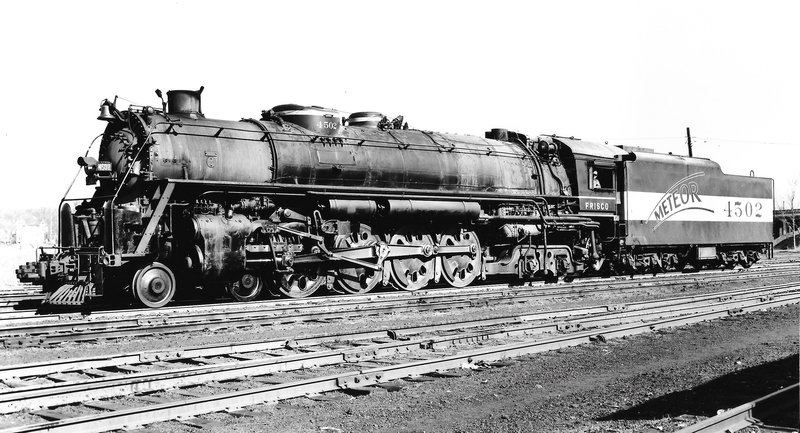 4-6-0 1106 at Tulsa, Oklahoma on June 28, 1946 (Richard Kindig-Charles Felstead). Frisco streamlined 4-6-2 1034 (date and location unknown) (Joe Collias). 4-8-2 1519 at St. Louis, Missouri in June 1936 (Joe Collias). 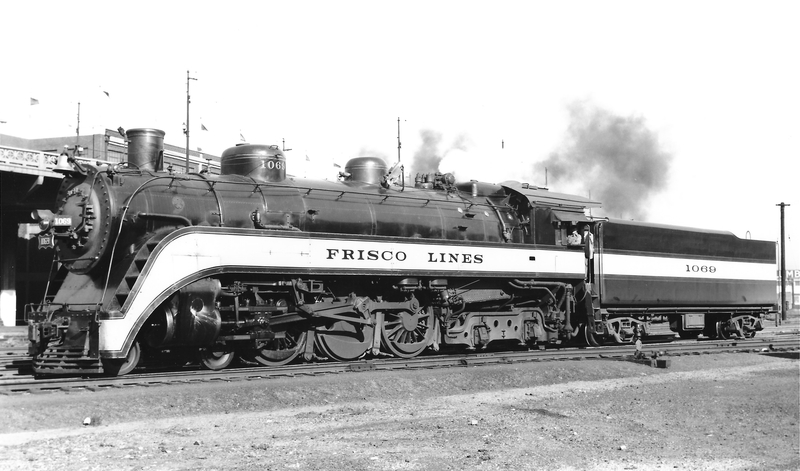 Frisco streamlined 4-6-4 1069 at Kansas City, Kansas on October 16, 1939 (E.G. 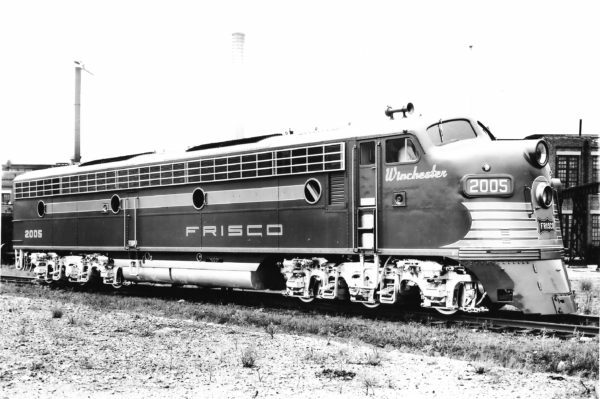 Baker). 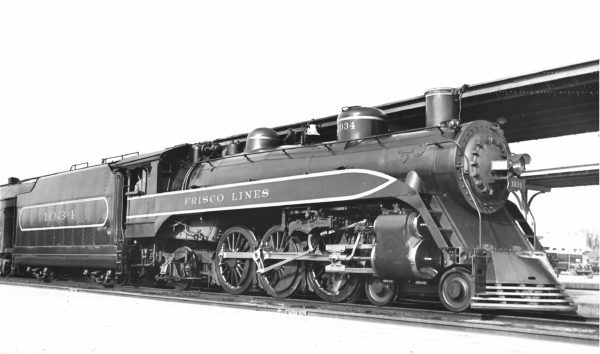 4-8-4 4504 (date and location unknown) (Joe Collias). 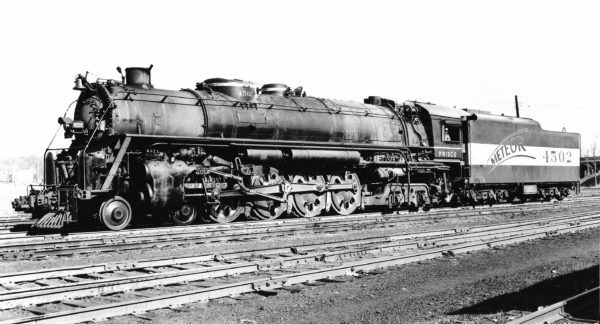 2-8-0 1259 at Enid, Oklahoma in June 1938 (Robert J. Foster-Charles Felstead).